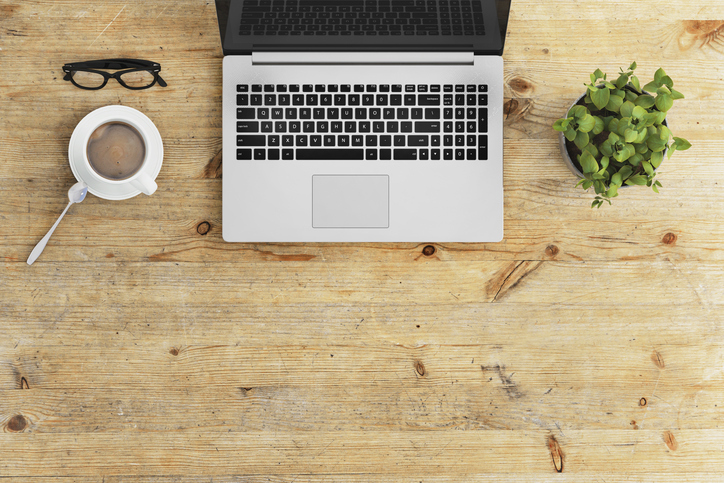 Here's how to build a workstation that inspires - and leads to your best work. Get up, go to work, try not to pass out from boredom, then go home. The daily grind can create some painfully dull days, especially if you’re stuck in an old-fashioned office setting. Adding a little inspiration to your work area can make a huge difference in your mood and productivity. 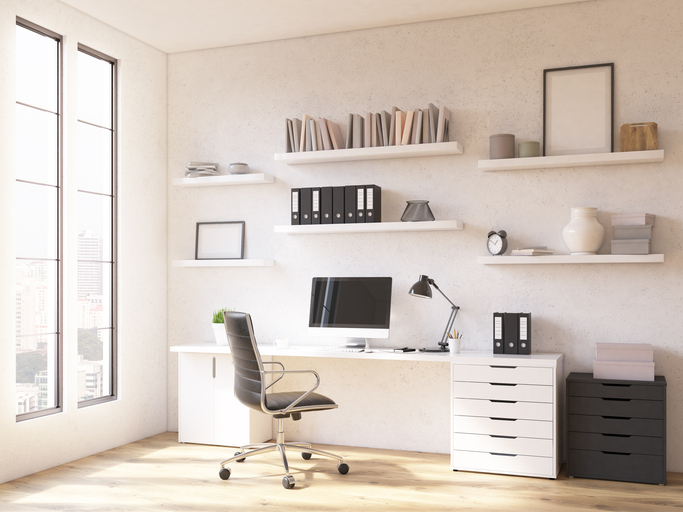 Whether you’re looking to spruce up your computer desk or need a more inspiring space for home projects – from heat transfers to blueprints – these ideas will help you create an office workstation you’ll never forget. You probably don’t think about the furniture in your office all that much. It’s functional, right? It holds your computer in front of your face so you can get work done, that’s that. While it’s easy to shove a table underneath a laptop and call it a day, paying just a little attention to furnishings can turn an ordinary office into a masterpiece of unforgettable design. The key to finding interesting desks and chairs is to keep it simple. You want something that stands out but doesn’t demand attention, and you don’t want to sacrifice functionality for aesthetics. To this end, look for sleek, modern style furnishings that are sparse on decorations but heavy on practicality. You might hate to admit it, but Ikea knows a thing or two about eye-catching workstation design. If you want something more original you can always peruse IkeaHackers for non-standard designs that do things a little different. Painting and decorating the walls is a great way to add a touch of style to your office. Start with warm, inviting paint colors. This will help set the stage for a for an inviting and productive space. Here are some of my favorite colors that work well for home office spaces. Once you have the basic paint covered, it’s time to look at decorating the walls. Calendars, art, and wall sculptures can be used to add a unique touch to your office. You can also use the wall space for something functional like shelving, storage or even a bulletin board. Here are some more tips on decorating your office walls. Can’t find just the right workstation solution? Not a problem, just make your own! You don’t have to have a degree in carpentry to create something stylish and functional. Between self-assembly kits and creative furniture hackers, there are enough options out there to ensure you stumble upon the perfect kit to solve your desk making needs. One popular trend is creating a desk out of industrial plumbing pipe, the old-fashioned kind you might see in a classic movie or cartoon. These DIY workstations are surprisingly easy to plan, build, and modify, often requiring little more than a trip to the hardware store and some elbow grease. Pipe desks fulfill the zen minimalist requirement while providing an extensible, functional, and unforgettable place to get some work done. To get started on the great pipe workstation adventure, check out this DIY table design. One of the simplest ways to upgrade your office workstation is to pick up a few plants. They’re easy to find, inexpensive, and they offer a touch of life to brighten a dull workspace. You don’t have to keep frilly flowers or delicate vines that turn into brown confetti the day after you buy them, either. Rugged plants are just as soothing as regular plants. Not sure which ones to grab? Unless you’re looking to get scientific about light conditions, temperature, and airflow, the choice is pretty easy. Apart from finding something that simply looks appealing, go for low maintenance plants that don’t require constant attention. Mint and lemon balm are common, easy to care for and offer big, green leaves that give off just a hint of sweet smelling aroma when you’re up close. If you really want to make your workstation unforgettable, take a step up from basic plants and go all-out with a large potted wonder. In keeping with the easy to care for philosophy, head to the garden department and ask for a snake plant (sansevieria trifasciata, often called mother-in-law’s tongue). These succulents can be quite tall, they tolerate weeks of watering neglect, and they always look green and gorgeous no matter the time of year. Office spaces tend towards being drab. Dull colors, no windows, cubicle walls as far as the eye can see. 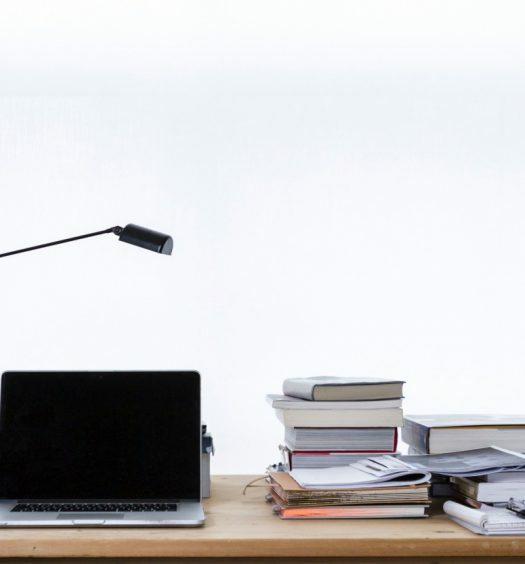 A quick and easy path to an unforgettable workstation is to change up the lighting with a desk lamp or a clip-on light. It won’t exactly revolutionize your workspace, but it’s a great start, and even the most rigid office managers can’t object. Going to the next level of light manipulation requires a touch more flexibility. Natural light is by far the best option, so if you can move your workstation to the window, the battle is half done. If natural light is too impractical, ambient or corrective lights are the next best thing. These background options brighten up dark corners to create a better environment for the eyes, reducing strain and imparting a little mood boost as well. If done correctly you’ll barely even realize the lights are there. If you need more inspiration, check out this quick guide for cheap ambient lighting solutions. One common cause of office burnout is seeing the same old stuff every single day. The same walls, the same carpet, the same desk, the same ceiling. Uninspiring. A great way to kick some life back into the old work area is to invest in configurability. On the most basic level this could include artwork or knick-knacks you swap around when they start fading into the background. On an even better level, this means taking the plunge and working from your feet. 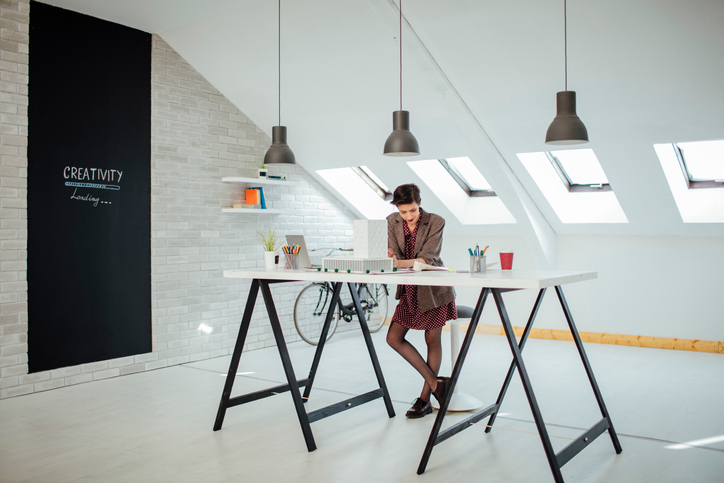 Yes, it’s time to talk standing desks. But not just any standing desk, mind you. Changing your point of view from a workstation is key to keeping things interesting, which means standing all the time can get just as boring as sitting. 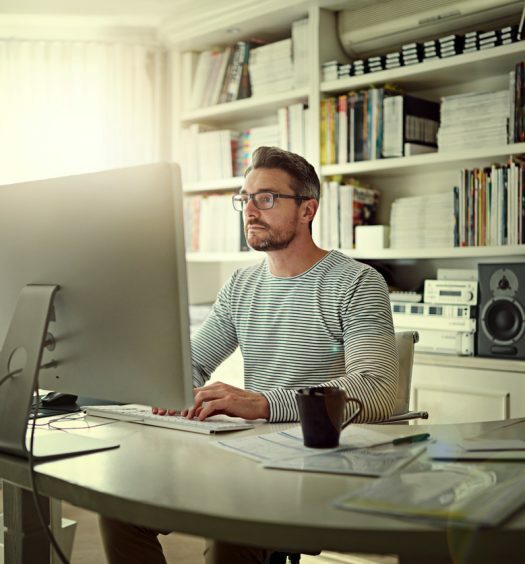 A convertible standing/sitting desk alleviates both of these problems and affords the flexibility of changing positions whenever the urge strikes. Varidesk has some of the most efficient convertible standing/sitting desk solutions around (Check Options on Amazon). Movable monitor arms, height adjustable chairs, even tabletop converters that slide from a sitting to standing position. You’ll never see your workstation the same way again. If you already have a favorite desk consider a standing desk converter from Halter or VIVO Desk. These are an affordable option to add a healthy dose of standing to your day.